I am not a huge sports fan typically but that all changes when the Olympics come on. I get super excited about them and usually tune in a little bit each day to watch. This summer, the Olympics will be taking place in Rio, Brazil from August 5th-21st! I can't wait to watch. My family and I love to get together to watch the opening ceremony together. I love to see what each country comes up with and how they added their culture to the ceremony. I also like to watch the excitement that the athletes have as they get ready to compete. You can always catch a game of baseball or basketball on TV but how often can you watch archery, diving, shooting or rowing for example? I love to watch gymnastics, diving and in the winter, all of the unusual sports. How can you not be inspired by the best athletes in the world? Seeing people run crazy fast in the Olympics is so amazing. Hearing that a swimmer trains so many hours in a day. It is something that most of us could not do and therefore, it inspires me. I love that the Olympics is something that brings my family together. As I said before, I typically am not one to watch sports but I love watching the Olympics. My mom and sister are like me with sports but we all enjoy getting together and watching the Olympics. Every time that I watch the Olympics, I learn so much. I learn about different countries culture. I learn statistics about different sports that I would never had heard anywhere else. Also, I love hearing the different stories about athletes that have overcome hard times and about their lives and training. Pampers recently teamed up with Olympic swimmer Dana Vollmer. She is a mom and this is her first Olympic Games since having her son Arlen last March. Dana was committed to get back to swimming after having her son so that her son could grow up recognizing how important hard work is and being inspired at a young age. We love Pampers diapers because they are comfortable for Adalyn and prevent any leaks. Pampers is also having a #PampersDeams Instagram contest from June 20th to 30th. The winner will receive a $400 AMEX gift card. To enter, post a picture of your child sleeping and caption it with a big dream that they have or that you have for them using #PampersDreams and follow Pampers on IG. The giveaway will be for a $50 Babies R Us Gift Card and Pampers diapers to one winner! Disclosure: This is a sponsored post by Pampers and iConnect. All opinions are my own. I love the olympics! My favorite sports to watch are volleyball and diving! I always watch the Olympics! My favorite is gymnastics and diving. We do watch and dont really have a favorite. I think all the sports are cool :) Thank you! Gymnastics or swimming are my favorite! We usually watch some of the Olympics. My favorite part is the diving. Like you, I'm not a sports fan but I enjoy watching the Olympics. My favorite is volleyball. Thanks. I'm really not into sports but I'll be watching this year as my nephew will be there on the swim team. I don't watch the olympics. Yes, the Olympics sure is amazing and exciting to watch! You have to hand it to all these people for their hard work. We enjoy watching most all of the competition. 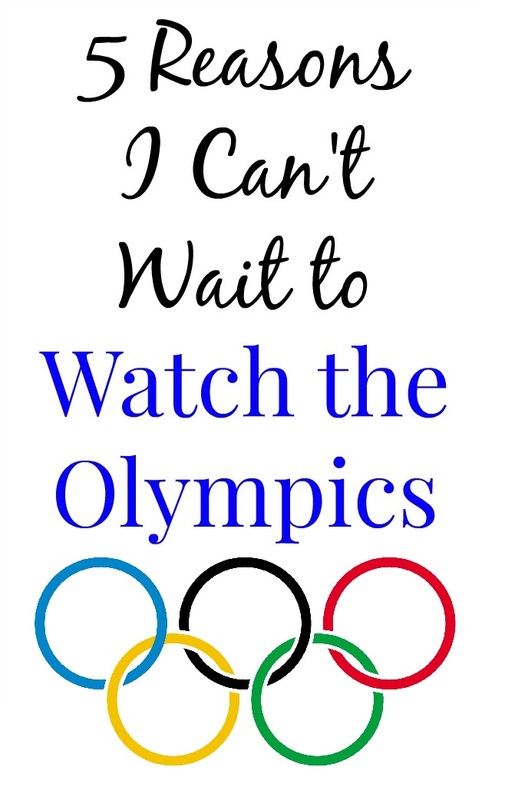 My favorites are the ice-skating, the bobsled competition, the ski- jumping, the equestrian events, and the gymnastics! I think the Olympics is such a healthy sport and a good overall way to keep your body and your brain in good physical condition. Hats off to our Olympians! We don't normally watch. When we do watch, I like to watch the gymnastics. Thank you! I love watching the Olympics! Our favorites are gymnastics, diving, swimming, and track. Yes, I love watching the Olympics! My favorite summer olympic sports are swimming, beach volleyball, and gymnastics. We watch the Olympics and love gymnastics! I don't watch it that often but my favorite Olympic sport is gymnastics! so interesting to see what they can come up with! I love to watch gymnastics! I do watch....my favorite is the diving. I love watching the Olympics! My favorites are gymnastics, diving and figure skating. My favorite is rhythmic gymnastic and regular gymnastics. We do watch the Olympics. We like watching gymnastics. I do not watch the Olympics. I do not like sports. I watch the Olympics. My favorite sport is gymnastics!